Common featuring Joy Denalane – Go! This is taken from one of my favourite hip hop albums of recent years, Common’s Be. This is a remix of the most prominent single off the album and features the German singer Joy Denalane. The song is smooth and funky. Common is rapper who has made a lot of music I like. He tends to have something clever and interesting to say (even if that isn’t all that obvious here) on records which are full of great beats. I spent a very enjoyable evening in my brother’s company last night at RMA Sandurst. As such, I wanted to post a song containing a clever pun. Alas I had already posted Elvis Costello, The Jam and Bjork ruling out Oliver’s Army, The Eton Rifles and Army of me and I couldn’t come up with anything else. Feel free to help me out. I will have to make do with this in stead. I have been very much enjoying it all week after stumbling across it whilst surfing on youtube. I knew nothing about the band, but I love the track – slow-burning and quiet yet compelling. This is the second cover version I have posted this week. This also takes a song from a different era and completely turns it on it’s head. The original actually has a certain cheesy charm (the video is certainly pretty awesome) but I like the stripped back quality of this version. It sounds heartfelt and honest. Also, how Irish does this geezer look? This is again going some way to redressing the relative lack of soul music I have posted recently. It is classic Chicago soul, and everything I want from this type of record – pure, both in melody and theme, funky and energetic. This was another of my father’s favourites that popped into my head this week. I was unsure about posting it as there are several different great versions of this song that I like, notably Dionne Warwick’s fragile and heartfelt and Issac Hayes’ dark and brooding ones. But I decided on this for it’s energy and for nostalgia’s sake. The only slight knock is the slightly self-indulgent instrumental interlude, but otherwise it is a triumph. It is a classic cover version in that it takes a song, gives it a completely different slant and breathes new life into it. I can’t imagine there would have been too many Stranglers fans digging Burt Bacharach prior to this! I have been thinking I need to put some more soul music up here. Had a long chat about all things soul on Saturday night and it made me realise I had been neglecting the genre of late. 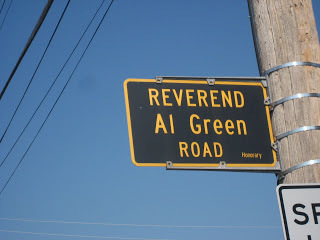 The Reverend Al Green is a beast! He has led an interesting life and still found time to make some amazing music. This is silky smooth and a big favourite of mine. 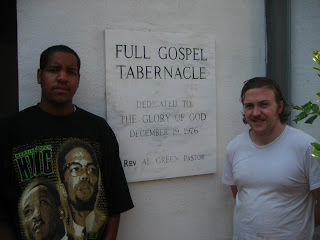 Many moons ago when I was in Memphis (dream come true) I visited the church where Al Green is pastor (yes, that is a moustache). Posting The Stone Roses last week got me to thinking again about Britpop and inspired me to post some more. For me, this is one of the finest examples of the genre. Catchy and energetic, it is typical of Blur who served as a lighter contrast to the more moody and energetic music coming out of the north at the same time. The opening line is an all time great. I was reminded of how awesome the video is when I saw it on TV recently, it works with the song perfectly. Also, Damon Albarn looks impossible young and impish in it. This is silky smooth and sultry. It is just what I need to soothe me this evening as I try to regain some equilibrium after the weekend’s excesses. 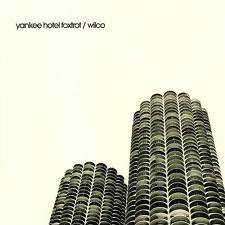 This is taken from Wilco’s latest album The Whole Love. It has infected my brain for the past few days. It is just a school old school classic rock’n’roll song.